Every time I open my bottle of the extrait de parfum, I am never quite prepared for its exquisite beauty. It is not just that the materials that comprise No 5 are stunning, though they are the best of what is available today. 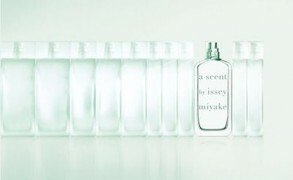 On the whole, the fragrance has a unique and memorable character. It is elegant, yet it is neither distant nor haughty. It is sensual, yet it does not have a decadent aura. The sultry ylang ylang note with its unique juxtaposition of wintergreen brightness and ripe mango sweetness unfolds first, even before the famous Chanel No 5 aldehydes light up the composition with their characteristic effervescence. Although the initial impression is vivid and luminous, with the added brightness from the neroli and bergamot, the dark amber note gives a dusky, moody quality to the fragrance. The contrast first set in place by the interplay between the sparkling aldehydic veil and the honeyed rose and jasmine notes continues as the fragrance moves into its dark base. The timbre of woody notes, including vetiver and sandalwood, gives a surprisingly masculine facet, which offsets the decadent languor of the floral notes. Vanilla and coumarin envelop the base notes, while plush, rich musks further soften the rough edges. The parfum has an alluring radiant quality, and yet, the sensation overall is soft, caressing and gentle. If you are only familiar with Chanel No 5 in other versions, discovering the parfum will be like finding a completely different fragrance. While the original No 5 existed only as extrait de parfum, Ernest Beaux rebalanced the formula for Eau de Cologne in the 1930s to derive a lighter, fresher, less expensive version. In 1952, the new Chanel in-house perfumer Henri Robert created a new prêt-à-porter interpretation of No 5. It is not just that the concentration of the Eau de Toilette version is lower, it has a different intent as a fresh daytime fragrance. Nevertheless, Roberts’s Eau de Toilette retains all of the surprising juxtapositions that make No 5 so memorable. While the richness of the floral notes is toned down considerably, the rose, jasmine and ylang ylang still form a beautiful accord, reinforced by the woody violet and the sheer green hyacinth. The neroli, citrus and aldehydes give a fresh and vivid aura that is maintained even in the spicy vanilla and warm musk drydown. For me, the Eau de Toilette is like a chiffon wrap to the parfum’s heavy silk, and it has a joyful, sparkling quality that I find alluring. To many, it will be the most recognizable form of No 5. While the Eau de Toilette is my preferred version after the parfum, the Eau de Parfum created by Jacques Polges in 1986 is the modern twist on the iconic classic. If the parfum juxtaposes elegance with sensuality, and the Eau de Toilette underscores the luminosity and vivacious spirit, the Eau de Parfum exudes confidence and bold beauty. The creamy notes of peach lacing the rose, lily of the valley and jasmine heart are more prominent, while the smooth richness of the amplified sandalwood note replaces the musky darkness of the original. Instead, the Eau de Parfum is subtly colored by the darkness of leather and incense. It is less aldehydic than the Eau de Toilette, yet it is sharper. Overall, I find it more angular, in contrast to the polished smoothness of the original No 5. Though No 5 is described as a beautiful abstraction, its high quality raw materials, particularly rose, ylang ylang, jasmine and iris, are what make it such a unique fragrance today. I get a shiver running down my spine whenever I smell the parfum with its incredible rose and jasmine absolutes from the Grasse region. The quality of the fragrance was the first thing upon which Coco Chanel insisted, mostly because she wanted it to be inimitable, but she could not have picked a more driven artist than Ernest Beaux. He meticulously searched for raspberry nuances in the rose oils he used in Chanel products and was very exacting in his requirements for every material that went into No 5. Henri Robert continued with this mission, and while he has authored several Chanel fragrances including Cristalle and No 19, he was above all a custodian of No 5, a true connoisseur of raw materials and obsessive in the pursuit of quality. Even today, while I might have qualms with Bleu de Chanel, Chance and too many Allure Homme flankers, I remain inspired by the impeccable quality I smell in Chanel No 5. One only needs to reflect on the sad state of affairs of Miss Dior, Dana Tabu and many other great perfume legends to see the difference. As all livings things, perfume changes from the moment it is born; therefore, it is not surprising that Chanel No 5 smells different today. The natural animal materials originally used in the fragrance such as musk and civet have been banned. The plush and warm synthetic nitro-musks are gone from perfumers’ palettes and the quality of the ylang ylang notes is different. There are other examples, yet, as I open my vintage bottles of No 5 and smell each in succession until I reach the modern version, I find that the character of No 5 has been preserved. To be honest, I do not even care to do a detailed side by side comparison, because I find that No 5 as it exists today fulfills all of my yearnings: for beauty, for quality, and for elegance. Something this exquisite can never be old-fashioned. What is your Chanel No 5 story? Do you or someone you know wear it? What is associated in your mind with No 5? Images: 1921 illustration by Georges Goursat Sem. Olfactoria: I started with the Eau de Parfum in the early nineties, more out of a sense of “This is elegance, this you have to wear to be somebody!”. I fell in love with N°5 much later, when I encountered the Extrait. I own, love and wear the perfume version now, as well as Eau Premiere. It still embodies the epitome of elegance and sophistication, high quality and timelessness to me. Zazie: I thought I knew number 5, I found it elegant and distinctive, but I felt like it wasn’t meant for me. I thought I liked some of Chanel’s “les exclusives” offerings much more. One day, with a perfume purchase, I received a small sample of number 5 parfum. The opening smelled familiar, but the opulent and slightly powdery floral heart stunned me. The sensuality of this elegant embrace subverted, in a moment, all my previous feelings on the fragrance and the house. violetnoir: The first time I ever tried No. 5 it was from an atomizer that I found in my mom’s closet. I sprayed it, and it burned a hole in my arm! Although I love some of the other Chanels, I obviously avoided this one for years. Then my favorite SA at Nordstrom gave me a small bottle of Eau Premiere, which I find effervescent and utterly delightful. Once I got used to EP, I decided to buy the real thing in EdP. I like it, but I am not crazy about it. However, when I do wear it, I feel mature, elegant and very feminine. meg jamieson: My first memory of Chanel#5 is like an ad copy; my mother, preparing to go out with my father, pausing to dab just a little behind my ears. Their nights out were as infrequent as the luxuries my mother afforded herself, and I imagine as highly prized. I have always loved smells, and have very, very few which I am not intrigued by. Smells people find gross or pungent don’t strike me that way, and so the farm I grew up on (cherries and apples), the world of cooking my mother inhabited, all of that is intriguing, but none of it meant what perfume meant. And Chanel #5 was my mothers only perfume. I loved others, my first being the original Victoria’s Secret (at 13) Lauren, Nina Ricci, but I could not imagine wearing Chanel #5, somewhat the expense, somewhat the idea of myself as not an adult. Then, full blown perfume onset later, a vintage bottle of extrait at an estate sale, and its beautiful smoothness captivates me, but still rarely. I am happy to have it wear me, but wear me it does, never quite melding. Gorgeous stuff. My own wearing has faded the olfactory distinctness of the memory of my mother in the hallway, bending down, her expression a perfect blend of humor and concentration, the cool touch of the glass stopper, my scent and hers, the same for a moment. Olga: I grew up in the former USSR, so when I was little, I did not know about №5. I don’t remember exactly when and how I learned about the existence of this icon of the perfume world, but it was some time in the 1990s. And that’s when my Mother received her bottle of №5 in EDT. She disliked it, and she did with it what she did with all perfumes she disliked — she passed it on to me. (that’s how I got Poison which is for me now a perfume haunted by memories and Yvresse which is still a love and a staple, by the way. But on to №5) I wore it for confidence. Sometimes in difficult working situation I would think “and I am wearing №5, I can do it” and will get the words out or continue pressing on. When I quit my job, I stopped wearing №5 and for a while a half a bottle was just sitting there (in cold and dark). I tried it again after I got married and absolutely hated it. It did not turn, but maybe it reminded me too much of my job or my chemistry changed, or my tastes, or all of the above. I got rid of the bottle as soon as I can, as if it was burning in my hands. Swapped it away for a newest fragrance around. This was about a year ago, in the very very beginning of my perfumista journey (oh yes, I am a newbie). Along the way I discovered that I adore vintage Arpege and №22. Oh well, said I to myself, it is time to try №5 again, dear. So in a mall I filled up the sample vials with №5 EDT and Eau Premiere. When I tried them, I was in awe at how much I loved №5 EDT and how different it smelled from what I remember and used to wear. Someone told me that the formula have been tweaked some time in early 2000s or late nineties, so a reformulation has worked for me. Now, that’s a first. So, №5 EDT is on my list now. I love its tenderness. I won’t wear it as a suit of armor as I did with the my Mom’s bottle, it is a completely different story. Eau Premiere? Are you asking what about Eau Premiere? Mals86 mentioned earlier that it didn’t smell nicely on her Mom and in her blog I read that it smelled like a celeb fruity floral. That’s what it did on me, so that was a no. Victoria: The vintage No 5 is quite easy to find, but I am perfectly happy with the modern version, so I smell the vintage only for the sake of comparison or to learn how some materials were used back then. mals86: Everyone has an opinion – has to have one! – on No. 5. For many of us perfume fans, it’s where we started. So here’s my get-her-to-the-psychiatrist statement: My mother wore No. 5. As a small child, I was always puzzled at how that nasty stuff in the bottle could turn into the warm smell of my mother. As a young woman, I never considered wearing it. Who wants to smell like her own mother? no thanks. Also, the bottles I tried at the store smelled cold, aloof, angular: very not my style. It was only a few years ago that I discovered buying perfume on ebay. I bought Mom a small bottle of Eau Premiere, but it was surprisingly not-nice on her, so then I went hunting parfum as a birthday present for her. I bought an old, opened, almost-full 1-oz bottle of parfum still in all its boxes, described by the seller only as “used,” for $36 including shipping. I tried it on, just to make sure it was legitimate, and it was so soft and faint at first that I made the assumption that I’d been cheated, and someone had filled up that pretty bottle with fake stuff, or cologne. Half an hour later I found myself wandering in a cloud of beauty, with my jaw on the floor in amazement. Victoria: See, the quality speaks for itself. I get annoyed by the clever marketing theory on the premise that the only thing the consumers need is a memorable ad. dee: The women that I grew up around are dark, and so were their fragrances—with the exception of my mother’s adoption of Lancome’s Tresor when it came out around the time I was in third-grade; so I had never smelled no. 5 in any incarnation until adulthood. I have since learned that 5 is my paternal grandmother’s scent, but I mostly associate her with the smell of delicious cookies! Of each of the concentrations, or adaptations (I have samples of them all) I own bottles of no. 5 EDT, and Eau Premiere. The EDT is much loved and oft worn by my husband (as is EP), and to me smells like “People Who Ride.” I’d be lying if I said I could pick out the notes; I have not reached that level of sophistication! That it is so popular, and that it continues to sell so well… let me share a story from my experience. I was in my Environmental Science class at Portland State, and for some reason, the instructor asked, “What is the most expensive perfume in the world?” and there were shouts from all over the room of “Chanel no. 5!” and the instructor nodded (it was the answer he was looking for apparently). I raised my voice with an, “Actually…” but was drowned out. No one had ever heard of Clive Christian and his silly bottles, or even of Joy. I think that men and women from that classroom are the sort of people giving no. 5 as a gift to the important women they love. ScentScelf: I wish I had a story. Like Sweetlife, I have a sigh. I adore No. 19. I embrace Bois des Isles. I don’t know what to say. Am I a Philistine? sweetlife: Oh really, V? Joy? But, but…the vintage EDT made me cry! Victoria: D, I expected that my question would elicit interesting responses, but reading these comments from you and others has been a special treat. Such varied and interesting experiences. Musette: I have loved No 5 since forever – but I am the Aldewhore so it stands to reason 🙂 I have a bottle of the perfume from the 70s-80s? It’s lovely. Slightly different from the edp, as you say – but you know, I don’t recall having smelled the edt in forever. When the weather cooperates I will have to revisit the Chanel boutique. No 5 is one of those ‘anytime’ fragrances for me. If I need that touch of understated elegance – cool but not cold. It’s a perfume that makes me stand up a bit straighter and make sure my lipstick isn’t smudged. Victoria: I love the quality of jasmine and rose in Joy, and it is above all what I enjoy. Yet, as a whole, it just does not move me. There is something magical in fragrance that all of us respond in different ways to the same scent. Victoria: That is just heartbreaking! I can also imagine that the scented lasted for a really long time, as No 5 is quite tenacious. Katy: My memory of Chanel No 5 is my grandmother. She wore it exclusively all her life. I can’t wear it, because the moment I smell it, I get choked up. I miss her very much. Yulya: Chanel #5 is my signature fragrance. I own quite a number of fragrances, but this one remains my beloved. It is me! I own the three ranges – perfume, EDP and EDT. Dear V, you are absolutely right, they are all different, yet, they are eminating from the same vision. Beautiful! And… I am getting compliments all the time! Victoria: I have heard that there is a difference between the EDT/EDP made in France and in the US, and this is because of the differences in water and alcohol chemical compositions. Victoria: Me too, I never fail to recognize it, and yet, it never seems ubiquitous or predictable. I simply get surprised and touched by its beauty. I wore the parfum last night in honor of this post – interesting situation ensued, one that seems to happen with certain aldehydes this time of year (bitter cold IL). It starts out lovely…then the aldehydes turn to rotten meat and the jasmine goes full poopy (I woke up @ 2am thinking one of the dogs had an accident in the house!). This happened with L’Aimant as well. Interestingly, it only seems to happen at extrait/parfum strength. A couple of my other aldehydes do the rotten meat thing (without the Jasmine there is no poop). Victoria: Wow, interesting! I have never noticed the rotten meat effect in aldehydes, but since as the meat spoils, it does get a pronounced metallic note (among other things,) it makes sense. Melinda: Hi Victoria. I recently tweeted a link to this review, I hope you don’t mind. I found this to be so insightful. Chanel no 5 is one of my absolute favourite scents and I have noticed the difference in this EDT and EDP, and now I know why! I also think that maybe owning both (or all 3) you can use it for different days or day/night time, depending on the insensity of the fragrance you would need. Victoria: Thank you, Melinda. I certainly don’t mind. Off to read your article! Victoria: I’ve tried it, and I don’t really think that it’s majorly different. The only thing is that it doesn’t contain much (or any) alcohol, and it might be better for color processed hair, or hair that’s fragile. Carina: I spent R$465,00 on a edt 50 ml, which is US$185,00; I love the smell more than any other but 5 minutes after I spray it there is no scent whatsoever anymore on my skin apart from what would be an “after the shower” faint clean reminder. I am desperate. Sad. Disappointed. Carina: Victoria Id like to leave a comment about how our noses are able to change through time for mysterious reasons, for now, after some months my perception has changed and I can finnally feel my edt! I think its due to medications because I take several and theyre always changing. Lila: Thank you for your Chanel 5 review. We share the love for EDT, which I find the most wearable and suited to my personality and needs. I grew up with no knowledge of the Chanel perfumes. Or ads, for that matter. (Chanel fashion was something else, as some would manage to sneak in magazines or even clothes in the country.) So I discovered the Chanel perfumes rather late and had no childhood memories of them. I later realized that my grandmother was wearing something that closely resembles Amouage Beloved Woman and my aunt was wearing Miss Dior. But no Chanel around. When Chanel and all good perfumes became available, I was already 20 and, of course, I started testing them before I could afford them. At that time, although I loved the scent, I could not wear anything close to Chanel 5, as I felt it was much too strong/ bold for me. I started with more neutral, almost unisex perfumes an slowly grew into something more serious. Every now and then I tried Chanel 5 – and it is the only perfume I was patient with, as I usually give up on trying something I don’t like from the first try. This scent somehow stayed with me but was telling me I was still not prepared for it. Until one day, about 8-9 years ago, when I tried EDT again and we fell for each other! I don’t know if my body chemistry changed or just my mind, or maybe I just grew up into the woman this perfume can dress. I am very particular about the perfumes I wear: I like many of them but I cannot wear but a very-very small number of them, as I need to feel them as part of my skin/ body. Today Chanel 5 EDT is my second skin. Even more so the body lotion, which I often wear instead of the EDT. It stays with me for many hours and I feel happy in it. I must say I don’t get the same feel from the EDP. And, to be honest, I dislike the hair mist. To me, Eau Premiere feels like a scent of its own, not like an extension of Chanel 5. I have been using other perfumes lately, none of them bad or cheap but, sadly, not as good as Chanel 5 which became too expensive for daily use. Yet, when I want to feel good but want to save the EDP, a bit of body lotion around my neck, wrists and at the back of my knees saves the day. Lucky me, it also goes a long way (the scent stays with me for many hours). Amber: Hi! Thanks for this amazing review! I grew up with being aware of Chanel no 5. The most luxurious perfume ever, according to the adds i saw. My first Encounter with the scent itself was somewhat different. I was 13 and on holiday in Spain with my grandmother. She was a real lady, and I tried to be like her in every way that i could. On the hottest day there, we passed a shop that sold perfumes, fakes! But I didn’t mind (i was only 13 and unaware) and saw a small glass bottle with a handwritten sticker on it “Chanel no 5”. I grabbed it and for a few peseta it was mine. I felt so ladylike, spraying on that aldehydes bomb which became a bit soapy and floral afterwards! I used it up and actually never thought about it again. 2 years ago I became enticed again by No. 5, now being an adult and able to buy the real thing. So I tried the Edp, and BOOM! There I was again, standing in that little shop in Spain, feeling like that little girl again, on holiday. To my surprise, the aldehydes were exactly the same as in that fake version. Of course, the real deal is more complex and extremely balanced. So I liked it even more. Natalia: Hello Victoria… I love your fantastic reviews. I have a question: I love the edp, but you made me wonder about the pure perfume…If I buy it, would it be ok to layer it with the EDP? Or should I use them separately? Jacquie: Is the hair mist similar to the edt or edp? And is it as strong? spe: While the women in my family all wear aldehydic perfumes very well (sister No. 22, mother First), for some inexplicable reason, no one has claimed No. 5. In a way, I’m thankful for the absence of any association. No. 5 feels “new” to me.